Since the Big Freeze was destined to find its way to Mississippi on Tuesday night, the first round of MHSAA Soccer Playoffs was moved to Monday night. 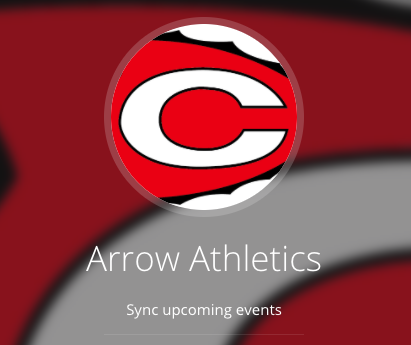 Both Clinton teams faced Oxford with the Lady Arrows on the road and the Arrows facing off with the Chargers at Arrow Field. Friday night’s playoff match between Clinton (10-11-3; 3-0) and Oxford (15-6; 4-2) was not the first time these two teams have met this season. The Arrows previously faced Oxford on a rainy evening in November with Clinton winding up on the losing end of the match, 5-0. On Friday, however, the Arrows took care of business to secure a spot in the second round of playoffs. The Arrows jumped up early in the match after Oxford fouled inside the box and junior Miles Sims scored for the Arrows on a Penalty Kick. Senior Captain Nathan Thomas scored in the second half off a set piece to give the Arrows a 2-0 lead. A foul in the box allowed Oxford to score on a PK late in the second half, but the Arrows held off the Chargers to clinch a first-round victory. The Lady Arrows (16-4-3; 2-1) also met the Lady Chargers (18-1-1; 6-0) in November where the Lady Arrows finished with a 3-3 draw. The Lady Chargers answered back with a goal of their own, but gave up a PK to Clinton. Acacia Rodriguez took advantage of the chance, taking the Lady Arrows up 2-1. On Friday, the Lady Arrows jumped to an early lead after a goal by Jakiya Michael with an assist from Tailynn Remmel. Oxford opened up the second half with a goal, tying the game at 2-2. The Lady Chargers scored in extra time, bringing Clinton’s season to an end. The Arrows are slated to take on Madison Central at 3:00 p.m. on Saturday, Feb. 2, in Madison. Winner will progress to the MHSAA North State Championship. Tickets are $7 at the gate.